Lisa qualified as a solicitor in 1993 and specialised in claimant clinical negligence claims before joining AvMA in March 2009. Whilst practising she was a member of the Law Society Clinical Negligence Accreditation Scheme. She is an Accredited Mediator with Centre Effective Dispute Resolution (CEDR) and is one of the assessors on AvMA’s referral panel. On joining AvMA Lisa was initially involved in advising and representing families at the Independent Review Medical Records at Mid Staffordshire Foundation Trust. Her involvement with families affected by treatment provided by Mid Staffs continued throughout the Public Inquiry chaired by Sir Robert Francis and included securing a second inquest into the high profile death of one of the patients who had attended the A&E department. In 2010 AvMA set up an Inquest project which Lisa pioneered and developed into the now well established, pro bono Inquest Service. The Inquest Service provides advice, preparation and representation in some 100 cases per annum; the service works closely with barristers in the leading clinical negligence chambers. Lisa was appointed Director of Medico-Legal Services in September 2013, since her appointment Lisa has been responsible for restructuring the Lawyer Service and Advice and Information departments into a newly formed Medico Legal Department. The focus of the department is on increasing the availability of AvMA’s services to the public thereby maximising access to high quality, independent help and advice on clinical negligence and professional regulatory matters. 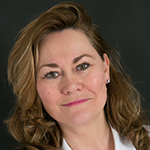 Lisa frequently comments and speaks on issues pertaining to access to justice and patient safety; she has given evidence to the Health Select Committee on AvMA’s experience and observations on the use of the NHS Complaints process. Lisa believes that good quality healthcare should be accessible to all. She was drawn to working for Action against Medical Accidents as it offered her the opportunity to use her legal skills to make a difference and improve standards of care for patients and doctors alike.